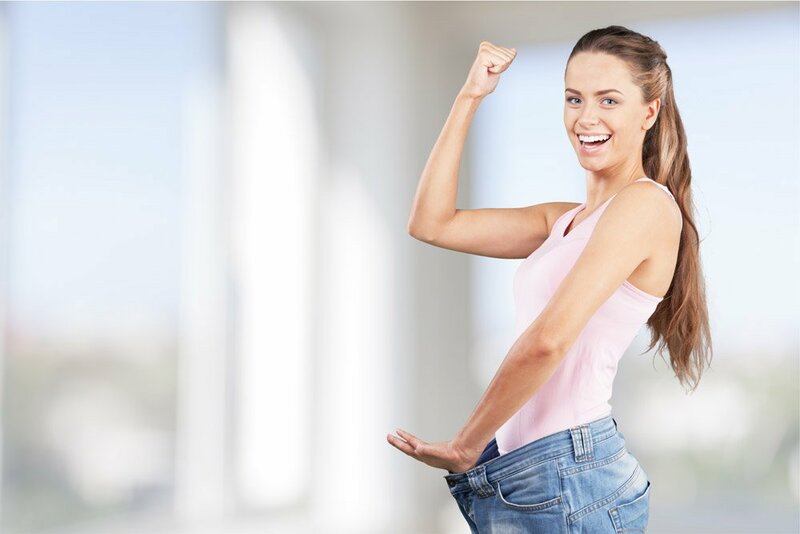 There is so much conflicting information available to us today confusing many people in their quest to lose weight. The outdated view that weight loss is simply about eating fewer calories than you burn through exercise has been scientifically rejected. We now know that calorie restriction slows the metabolism, makes you hungry and ruins your weight loss plans. It really is not about calories eaten, but about diet quality and dietary composition. Just as there are foods that make us fat (refined, processed sugars) there are foods that help us to lose fat and become healthier. Weight loss does not just boil down to what we eat, how much we exercise and our willpower. It is far more complex as other lifestyle factors play a significant role. So stop blaming yourself for lack of willpower and start creating better health by eating real fresh food that is low in sugar and starch and high in other nourishing sustaining nutrients like good fats. When we eat carbohydrates like grains, biscuits, pastries, fruit & vegetables and cereals we produce a hormone called insulin. This helps clear sugars from the blood and sends them to the cells to help produce energy. If we eat too much refined processed carbs we make too much insulin causing blood sugar levels to rise in the bloodstream. This can trigger Insulin Resistance, food sensitivities and food allergies; all inflammatory conditions.Naturopathic treatment can help to reset your metabolism and support your body’s natural ability to heal. Insulin can be lowered by doing a sugar detox while at the same time curing a sugar addiction. The less sugar you eat, the easier it is to stop craving it. Science has confirmed that any chronic disease represents a state of inflammation in the body. Conditions like asthma, allergies, autoimmune disorders, arthritis, diabetes, heart disease, cancer, dementia and depression are all inflammatory states. Our fat cells also produce inflammatory molecules that perpetuate weight gain.A poor quality diet high in refined processed foods, added sugars and omega-6 fats (in vegetable oils) and low in fibre is a good foundation for weight gain. Two common food allergens, namely gluten and dairy, are capable of triggering Insulin Resistance and promoting increased body fat. Our microbiome consists of good & bad gut bacteria. In a healthy state, we want to have good bacteria out-numbering the bad. Our beneficial bacteria exist to help us maintain a balanced and happy gut. But when the microbiome goes out of balance, as occurs after taking a course of antibiotics, this has disastrous effects on our metabolism and weight. Bad gut bacteria trigger inflammation and can cause leaky gut, Insulin Resistance and diabetes, irrespective of what you are eating.We can keep the microbiome happy by eating unprocessed, unrefined foods such as vegetables and high-fibre plant-based foods. These foods provide the bacteria in the gut with a food supply (fibre) to help them multiply. For example, vegetables, nuts and seeds can feed our healthy gut bacteria. Good fats (omega-3 fatty acids found in fish, nuts, seeds, olive oil, olives, avocado) actually decrease inflammation and also provide fertiliser for the good gut bugs. Remove bad fats (omega-6 fats) that are present in vegetable oils and processed and packaged foods. Replace with healthier oils like extra-virgin olive oil and coconut oil. Regularly consuming fermented foods like kimchi, sauerkraut, yoghurt, tempeh and miso will provide good amounts of probiotics so that your gut bugs will multiply easily. Detoxification is a natural process that occurs in the body all the time. However, the individual’s ability to detoxify comes down to how healthy their lifestyle is including food choices they make. We are all exposed to a huge amount of environmental toxins and toxins in our food. So for most of us, our detox ability will be compromised to some degree.Since the industrial revolution over 80 000 chemicals has been introduced into our world, many of which have been proven to significantly impact our metabolism, hormones and brain function. These toxins including herbicides, pesticides, bisphenol A, phthalates, plastics, flame retardants, mercury, lead and arsenic and are best avoided by choosing to eat organic foods. Select grass-fed or pasture-raised animals that have not been fed hormones or antibiotics. Avoid large fish containing mercury, such as swordfish and shark. Filtered water is highly recommended, especially 8 or more glasses a day. Keep fibre intake high to help detox on a daily basis. Constipation is a sign that you are failing to clear toxins and needs to be addressed. Exercise is vital for fitness and strength but also necessary to help excrete toxins. A detox dietary plan includes cruciferous vegetables. Garlic, onions, ginger, turmeric, kale and broccoli all aid the detox process. Nutritional supplements can help bind with the toxins and remove them from the body.